Summer is a fantastic season to update your wardrobe, and although we all like to be on-trend, it doesn’t have to come with a hefty price tag. 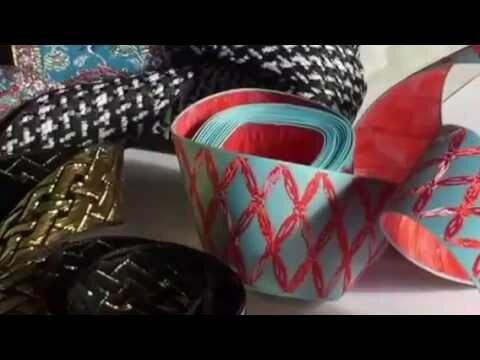 Personalise your existing clothes by experimenting with beautiful, unique ribbon, and tap into the latest trends at the same time. Tailored, balloon, paper bag… Shorts are big news this summer. There’s a style to suit everyone, so you can easily make this style work for you. Checks aren’t just for school uniform – they’re all over the catwalks and come in different styles and colours. From jackets to skirts and dresses – checks are everywhere. Both colour palettes are in trend this summer, but only one should be worn at a time. Push yourself and try out a new colour you wouldn’t usually wear. If you’re big on pastel shades, try something a bit bolder! Ribbons are the perfect way to personalise these trends to your own unique style, and help revamp any summer item. Use cotton ribbons with simple, statement prints, such as checks, to sew onto plain skirts, dresses or tops as a personalised hem. You’ll be bang on trend but there’ll be no other item like it on the rails! Printed ribbons are also perfect for sewing into smart shorts, to create something a little more exciting. It’s like buying something brand new! Woven textile ribbons are durable and look expensive – perfect for trialling a pop of pastel or bright shade on a neutral dress, top or bag. Sew on and create your own hems or designs. 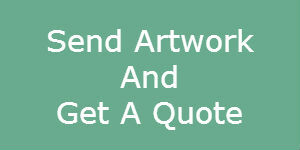 Please phone us or drop us an email if you have any queries, comments, or just want to get a quote. When it comes to planning an event, it can be easy to overlook the finer details. Though finishing touches, such as ribbons, may be further down the list than booking a venue and organising the entertainment, it’s small features such as this that can pull the theme of an event together and make it truly memorable. We’ve put together a quick guide on how a jacquard ribbon can enhance your occasion. Ribbons can be found in many different places at weddings, but most often they’ll be found wrapped around the favours for guests. If you’re looking to add an extra luxurious detail to the appearance of the tables at your wedding breakfast, we recommend choosing an embroidered ribbon with a jacquard trim to match your colour scheme and tying it around the top of a favour jar or around a favour box. If you’re handing out bouquets to special guests such as godparents at a Christening, why not choose a woven jacquard ribbon in either blue or pink shades to tie around the bouquet to make the gift even more fitting to the occasion? The godparents will be able to treasure the ribbon as a keepsake, long after the Christening. If you have a special outfit in mind for your occasion, why not consider adding an extra special touch with a jacquard ribbon? You can use woven jacquard ribbon around the trimming on an occasion dress, or perhaps you could use a piece of ribbon to create a unique brooch for your outfit. We specialise in crafting modern jacquard ribbons for any occasion. Please browse our website to learn more about how we can help make your occasion even more special. 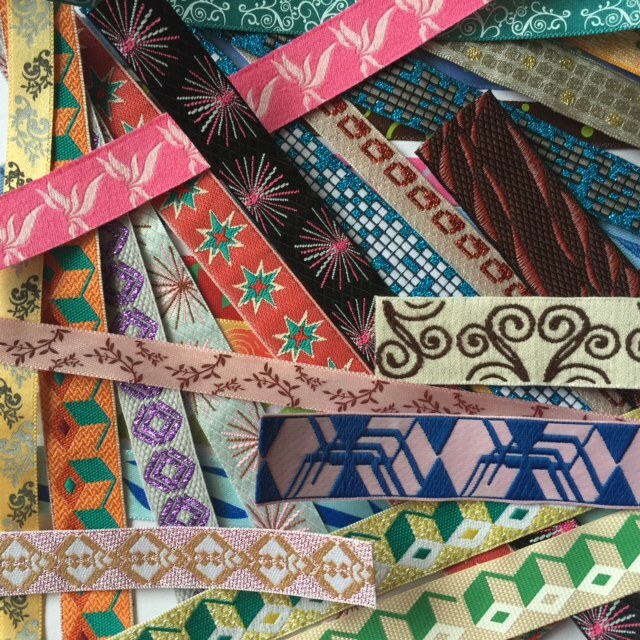 Contact us today to discuss the design of your jacquard woven ribbon for trim & accessories. 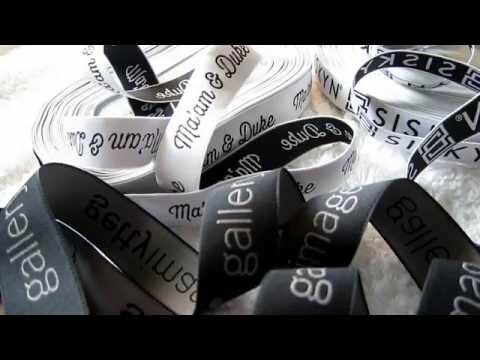 RRB offer custom-made ribbons in a wide variety quality and design. Woven jacquard fabric ribbon is woven by different colour threads to create a raised pattern. We are able to weave any design pattern includes damask, florals, metallic, and geometrics. Woven ribbon has an outstanding durability for a general purpose ribbon. They are our most popular product as they offer a great detail weaving quality. 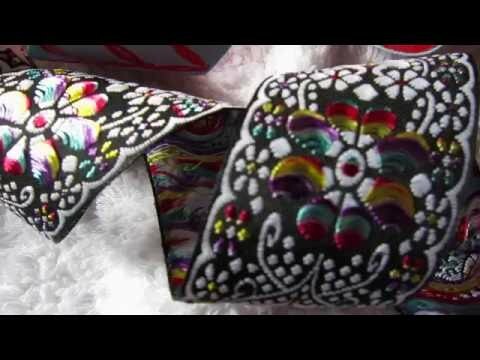 Jacquard weaving ribbons are great trimming for designer clothes and home textile products. 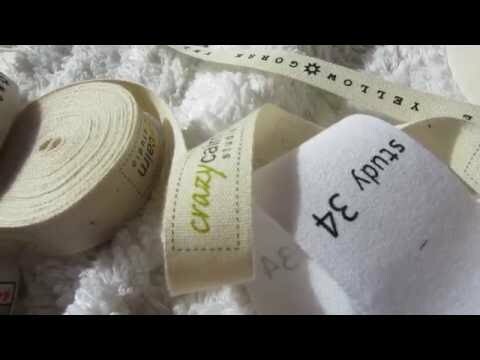 We have a wide range of ribbon fabrics quality in stock to create all-purpose bespoke ribbon. All personalized and printed full colour. 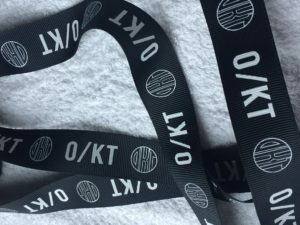 Contact and send us your ribbon design artwork on below email; we will help to custom an outstanding bespoke ribbon for your textile products.